Built in 1956 and well maintained, this has been operated as the Kiddie Kampus until the owner retired. This is move in ready for the next business venture in downtown Palatka's revitalization. There are numerous business opportunities for this location. There is an additional 700 s.f. of storage space upstairs. There is an entrance and parking behind the building. The existing shelving will remain. 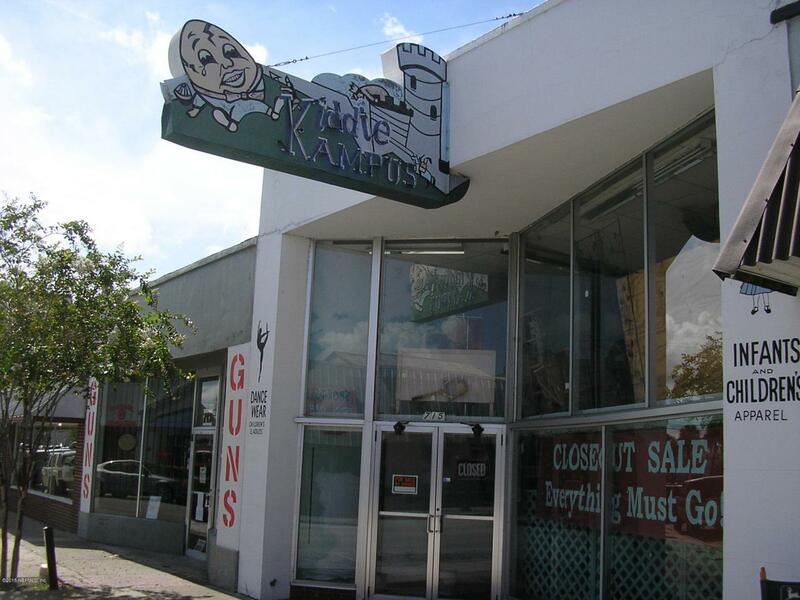 The Kiddie Kampus sign does not remain as it was purchased by the Putnam County Historical Society.